Hyperbaric oxygen therapy, also known as HBOT, medically utilizes oxygen at an air pressure higher than 1 atmosphere absolute (ATA). Under the pressurised environment, the oxygen dissolves into the blood plasma saturating the fluid and bringing about a wide range of positive cellular, biochemical, and physiological effects. HBOT is the most trusted, non-invasive form of treatment to increase oxygen levels in the organs of our body. Generally, an HBOT session can continue for about 60 to 90 minutes, where the patient inhales pure oxygen by lying down inside the hyperbaric chamber. Several clinical research demonstrated HBOT’s innate capability of enhancing the body’s natural healing abilities. HBOT is used as a supplementary form of therapy to boost the healing process in both acute and chronic health conditions. When you buy a bottle of carbonated drink, say soda, the extreme pressure inside the bottle reduces the size of the CO2 gas bubbles so that it can get dissolved in the liquid. However, when you open the bottle and release the pressure the size of the bubbles increases making them visible to the eye. The same theory works in case of HBOT. When a person breathes in unadulterated oxygen under high-pressure environment, the gas molecules reduce in size, dissolving in the blood plasma and other body fluids. 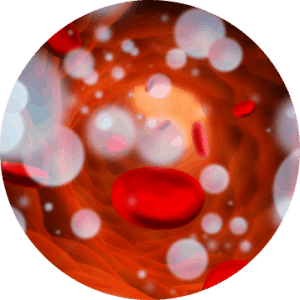 The oxygen saturated blood plasma increases the oxygen delivery to the inflamed and injured tissues and also enhances organ and cellular functionality of our body. The roots of hyperbaric therapy, used as a medical treatment, can be traced back to the 1600’s. Henshaw, a clergyman from Britain, is credited with building and operating the first hyperbaric chamber in 1662. He created a tilted structure called the Domicilium, which was used to treat a range of health conditions. Years later, in 1878 French physiologist, Paul Bert discovered the connection between nitrogen air bubbles and decompression sickness and found out that recompression can lessen the pain. Fontaine, a French surgeon, continued this approach of treating patients under pressurized environment and later in 1879 constructed a mobile pressurized operating room. He also discovered that nitrous oxide, when inhaled under pressure, was more effective apart from improving oxygenation in the patients. Dr Orville Cunningham, an anaesthesia professor, in the early 1900’s noted that people suffering from some particular heart ailments improved better when they stayed closer to the sea level than living at higher altitudes. After the successful treatment of a colleague, who was dying due to influenza and lung restriction, Cunningham started the “Steel Ball Hospital” on the shore of Lake Erie in 1928. The hospital was a six storey high steel ball structure measuring 64 feet in diameter. The Steel Ball Hospital could reach up to 3 atmosphere absolute (atm). However, owing to the depressed financial status of the economy, the structure was dismantled for scrap in 1942. Later, in the 1940’s, the military developed hyperbaric chambers to treat decompression sickness in deep-sea divers. HBOT was used during lung and heart surgery for the first time in 1950’s, which paved the path for the treatment to be used for carbon monoxide poisoning in the 1960’s. Since then HBOT has come a long way with scientists completing more than 10,000 case studies and clinical trials for the treatment many other health issues, successfully. The mass of gas that dissolves in a liquid, without being chemically combined, at a constant temperature is proportional to the partial pressure of that gas at the surface of the liquid. One has to apply pressure to effectively dissolve a gas (oxygen) into any liquid (blood plasma). Inside the pressurized hyperbaric chamber, the oxygen saturates the blood plasma to reach deep into the inflamed tissues of the body. At a constant temperature, the pressure of an ideal gas is inversely proportional to the volume of the gas. With the increase in pressure, the oxygen molecules reduce in size, effectively creating a denser oxygen environment. 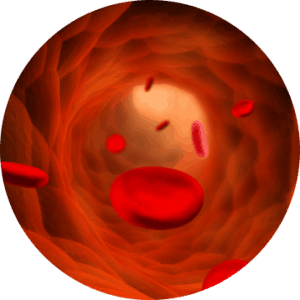 Inside the hyperbaric chamber, the oxygen molecules present in the lung membrane (alveolus) also become concentrated, making it possible for the additional oxygen to saturate the blood plasma by dissolving into the blood. The volume of an ideal gas will remain proportional to its absolute temperature if the pressure remains constant. Inside a hyperbaric chamber, the increase in pressure is proportional to the increase in the temperature. This change impacts the oxygen directly by increasing the volume of the available gas.